It’s been a while since I’ve blogged lately, despite my best intentions. And suddenly it’s April. April is indeed the “cruellest month” to quote T.S. Eliot—but not for the reasons given in The Wasteland. 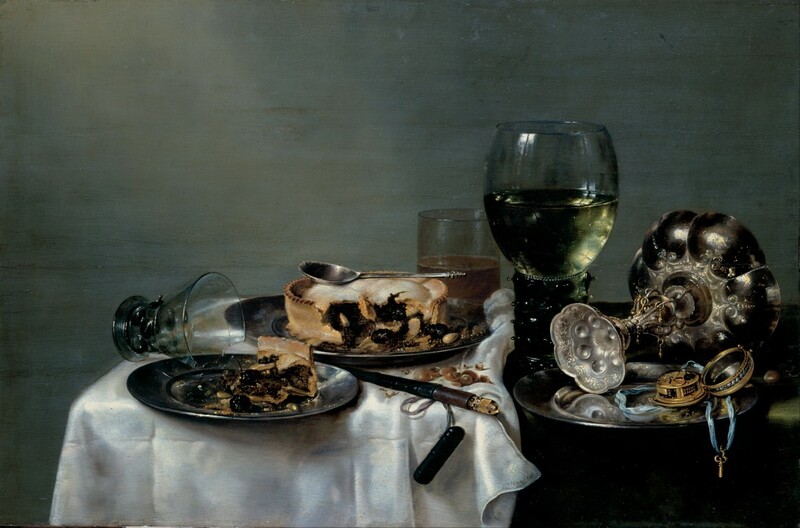 It’s because, after I’ve spent months luxuriating in the newness, the beginningness of a fresh year, April comes as such a shock: holy crap, the year’s already one quarter over. First, I’ve been slowly but steadily plugging away on The Shadow Clock. Ari, my editor, sent me her notes at the end of November, and I spent December and January trying to strengthen the story and make everyone’s motivations clearer. The distressing problem with books set in a magical world where heists and thievery are prominent is that everything must also make logical sense. Go figure! At any rate, I’m writing a new draft now. But February and March are always impossible months for me—things like taxes or my daughter’s birthday can take whole weekends out of play, and then I’m left with the tiny scraps at night when I’m propping my eyelids open or the slug-brained times at 5 in the morning when I’m trying to jolt myself awake with coffee. Maybe at some future point I’ll write more about how I’m approaching the revision. But the short version is—resist, panic, drag feet, then take a deep breath and crack it open. One of the biggest things I can do for a successful revision is not rail against my situation. Yes, I’m busy, and my job and home life mean I can’t spend as much time on it as I’d like. So what? My novel notes file is full of lectures to myself about how it doesn’t matter a bit how I feel. Stop paying attention to feelings about the work and simply do the work! On the subject of being busy (and illustrating my incorrigible tendency to overcommit), I’ve been consulting for Write the World, a global student writing community. I first met the Write the World group back in November of last year when I was a judge for their novel writing competition. I was so impressed by the quality of the student entries, and so intrigued by their mission and community, I asked if there was a way I could continue to be involved. What I find so great about this site is the emphasis it places on getting constructive feedback and revising as part of the writing process. I can’t help but think if I had learned to embrace revision earlier, I might have had a much smoother journey. Write the World offers writing prompts and monthly competitions. If you have high school age kids or know teachers who would be interested in sharing this with their students, please check them out. In January I made a list of writing goals for the year; one of them was to write and submit four short stories to literary journals (I am nothing if not crazy aggressive in my goals). Well, I have one written and submitted so far. This is a huge accomplishment for me. When I was in my MFA program, I struggled with short stories. I kept feeling like I was doing them wrong. I didn’t get them. And of course I was so thin-skinned about rejection, I gave up immediately if a piece didn’t get accepted. During the past few years, I’ve been so focused on novels, I’d kind of forgotten all about short stories. But there was something about this idea that I kept returning to. It was something I really wanted to write, and I knew it was a short story, and not some other form. So now it’s out there, hopefully finding a home. Be well and spread your wings, little short story! 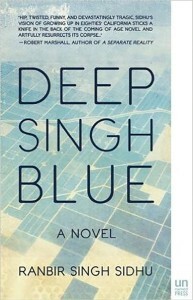 Speaking of my MFA program … one of the talented writers I met there was Ranbir Singh Sidhu, who’s just written a great novel called Deep Singh Blue. I had the chance to review Deep Singh Blue for the literary journal Your Impossible Voice. That review has just appeared, and Ranbir’s book has just come out. It really is a gorgeous, funny, tragic coming-of-age story. Plus, it has an only-in-California hot tub scene. Definitely worth checking out. Here it is on IndieBound. And you can read more on Ranbir’s blog. Though be warned, he lives an utterly enviable lifestyle. If I chuck it all and move to Crete, you’ll know who to blame! 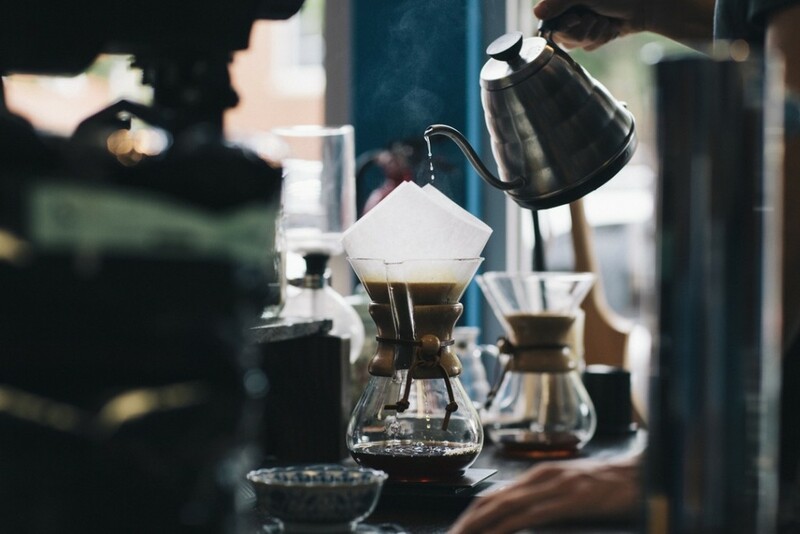 Awesome coffee photo by Karl Fredrickson from Unsplash.com. I was going through old notes for a story and found this piece I’d saved. I find it has an eerie resonance that keeps me thinking about it. It’s from “The Couch” series in the New York Times. “A Tale of Two Twins,” by Galit Atlas, the story of Noah, who as a boy was obsessed with death and obituaries and who—it turns out—had a dead sibling with his same name born a few years before he was, whom his parents covered up. We all have our phantoms. But as the psychoanalysts Maria Torok and Nicholas Abraham once wrote, ‘what haunts us are not the dead, but the gaps left within us by the secrets of others.’ They were referring to intergenerational secrets and unprocessed experiences that very often don’t have a voice or an image associated with them but loom in our minds nonetheless. We carry emotional material that belongs to our parents and grandparents, retaining losses of theirs that they never fully articulated. We feel these traumas even if we don’t consciously know them. Old family secrets live inside us. This feels so true. A secret, even if it isn’t yours, takes up emotional space. It can be sensed and felt. As I write, I try to imagine the invisible secrets and gaps that haunt my characters. Today is National Day on Writing, and all over the country people are talking about #WhyIWrite. So, why do I write? Well, there are a ton of reasons. Of course I want to sweep people away with my stories. 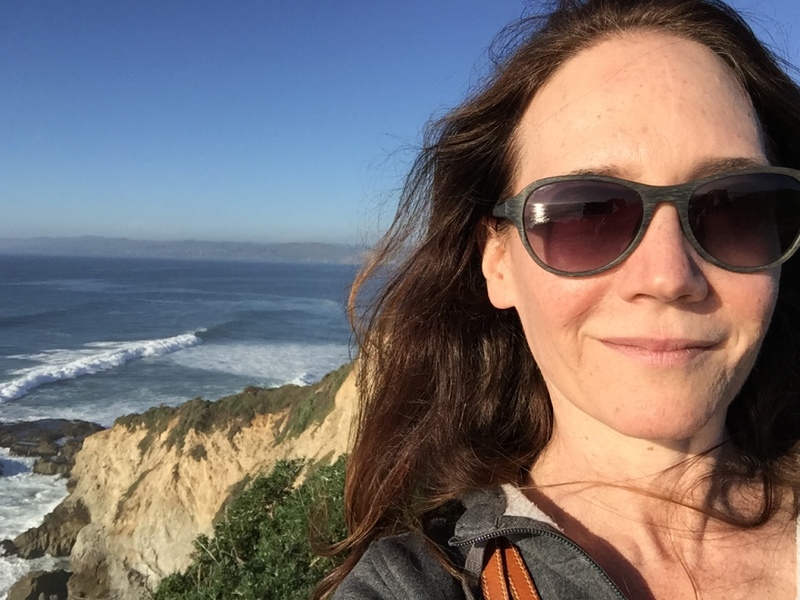 I want to give all these experiences to readers—experiences I’ve had in books and absolutely treasure, like finding solace, friendship, awe, love, audacity, and moral courage. There’s another reason (and you’ll hear it if you listen to the interview). I’ve surmounted so many challenges and self-doubt simply through sticking with writing and never giving up, that writing has become my ideal personal trainer. Think I can’t do this revision? I’ve learned I can. Afraid of rejection? I just have to face that fear and grow. Worried I can’t speak in public? There’s no cure except to get up on stage. I realize that even if I had zero readers, I’d still write, just for the never-ending challenge of it. Some writers undercommunicate, and I call this a “high-school-girl” theory of being in the world—you want everyone to come to you and recognize how great you are. But you have to be out there with other writers and communicating with your agent. If you publish a piece in the New York Times, I really want to know about it and tell your editor and tell my foreign-rights people. For those people, I would say be less of a “high-school girl.” Be like a “high-school boy” who wants all these girls to know who you are. I don’t mean that in a sexist way. I had an unpleasant shock of recognition as I read this. Because, it now becomes clear, I’ve been operating in the world as a high-school girl. For a while now I’ve had intimations that something was wrong with my ability to self-promote that didn’t stem from shyness—I’m not especially shy. It’s more an excess of manners, an unwillingness to disturb someone else by asking for something, a misplaced self-reliance. And, ultimately, a deep-seated feeling that I have to earn the attention of others by proving myself through work of such quality that everything else falls magically into place. Which is ridiculous, because people like to be asked for help (within reason), and generally like to feel that they’re magnanimous. Not to mention, as a writer you really, really, really need to get the word out—no matter how good the work is. Well, I can communicate more. And in the past I’ve set myself little exercises like, “Ask for something each week.” (That’s a good one.) As I learned from Cross-fit, it’s important to do things you don’t like or don’t think you can do. On a larger level, I realize I still need to see myself as a writer. Even though I’ve published one book and have more in the works I think of how much more I could do to commit. Am I leaving myself an out? I can always blame my busy life of work and kids’ soccer practices and whatever else. I recently came across this interview with Sarah Waters in The Guardian, about her experience writing The Paying Guests. Although I can hardly put myself in the same company as Sarah Waters (whose amazing Fingersmith blew me away), I found a lot to relate to here. For everything I work on I start a “Notes” file, and this doc becomes my confidant during the course of the project. It’s usually a lot of griping or the place where I unload my emotions. I don’t keep a journal, so the book diary becomes a record of all my thoughts along with what’s going on in the day-to-day. For my Shadow Clock draft, I kept track of word count each day (because I wrote the book in one big Word file), how I was feeling (usually awful—reading back on Notes, I come off as a raging depressive). The Notes file is also my “what if” place—if I can’t bear to work in the official file, I sketch scenes in Notes. And then like a movie cast and crew who disband at the final wrap, once the book is done, the diary is done. It’s interesting to me, the Notes file is often about the same length as the manuscript, as if they’re twins, somehow growing in parallel. I’ve sometimes thought maybe I should just keep one big Notes file about the whole of writing life. But I like looking in on each idea to see where it’s stopped in time. So now while I’m waiting to see what my editor thinks of what I’ve turned in, I check in on another Notes file—it’s like visiting another person in another world: full of excitement about an idea that’s just been waiting in suspended animation. I am nearly done with my Shadow Clock draft, but getting to this point has required a tremendous push and a lot of night writing. It’s often very hard for me to get started when I write at night. I usually spend an hour doing preliminaries – desperately searching for blog posts (only no one blogs anymore). I go to Amazon and “Look Inside” books reading first chapters. I read things in the New York Times. “We are, at least from the standpoint of DNA, more microbial than human,” is something I just learned. I must slowly overcome my hatred of the text. Opening the file and seeing the words I’ve written, I experience a violent recoil. How can anything be that bad? So I must approach the manuscript as if it is a wild pony. Sideways but with determination and an overall sense of my goal. Not straight at it, but piece by piece. It’s a war of inches and defeat lurks at every turn, because each inch contains the potential of an hour lost to procrastination. I cycle through these activities, flipping back to my open draft. Reading various writing-related sites online. Remembering how when I write in the morning before work I am always so annoyed that I can’t continue but must stop. So how can I turn my back on hours at night! I remind myself that even if it is bad work and bad writing I produce it is still necessary work that must get done and it brings me that much closer to my goal. Tonight, I don’t want to write, but I’m still up. As long as I’m sitting here I might as well write, right? All I have to do is get in. But the text is like bitterly cold water – I turn my head away. I don’t want to. James Salter, who died last week at 90, was known for his wonderfully precise prose style. You can read the rest of the interview here at the Paris Review. My only warning is that it is full of elegant, thoughtful expression, and glimpses into an entirely enviable writing life. After encountering it, I took several hours to go back to my work, which I felt was entirely frizzy-haired and unagreeable. Such are the hazards of reading author interviews! About a month ago I did something I’ve fantasized about for years: I went away, by myself, purely so I could write. I did it because I needed to make progress on The Shadow Clock. But it was also an experiment. Our lives seem to be getting busier. 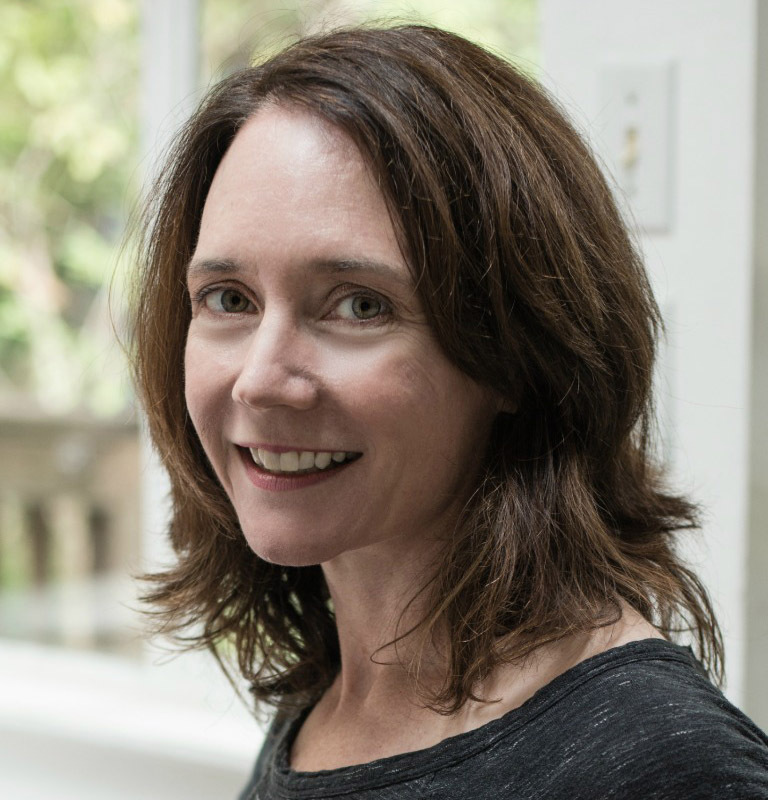 Is there a way to be a working parent and still write? How do you fit creative time in when the day-to-day stuff becomes more and more overwhelming? Maybe a fabulous writing retreat could be the answer …? For my first retreat I knew I wanted to go somewhere uplifting and beautiful where I could get outside and feel healthy. So I went to a relatively expensive place: a B&B in Inverness, a little town on the Pt. Reyes Peninsula, and basically one of my favorite places in the world. I couldn’t take much time off from work (or really afford a longer stay) so I went from a Thursday evening to a Sunday morning. For a couple days I would get up around 5 am or so, eat breakfast, write write write until I ran out of juice (around 1 or 2 o’clock). Then I’d take an 8 or 9 mile hike to the ocean and soak up some fabulous Pacific views. Come back, eat something yummy, then write again until I couldn’t keep my eyes open. Heaven. How’d I do? Was it worth it? Did I get the book “written”? Of course not. First, I’m not that kind of 10K-day word machine. Second, I knew going in that it wasn’t that kind of retreat. I didn’t want it to be punishing. I didn’t want to get an RSI and hurt myself (even working at a cafe for a couple hours will give me an arm or wrist twinge if I’m not careful). It had been a busy, ragged fall and winter, so I wasn’t even in shape for all-consuming work. I wanted to hike and look at beautiful nature, and eat delicious things (which I most definitely did. 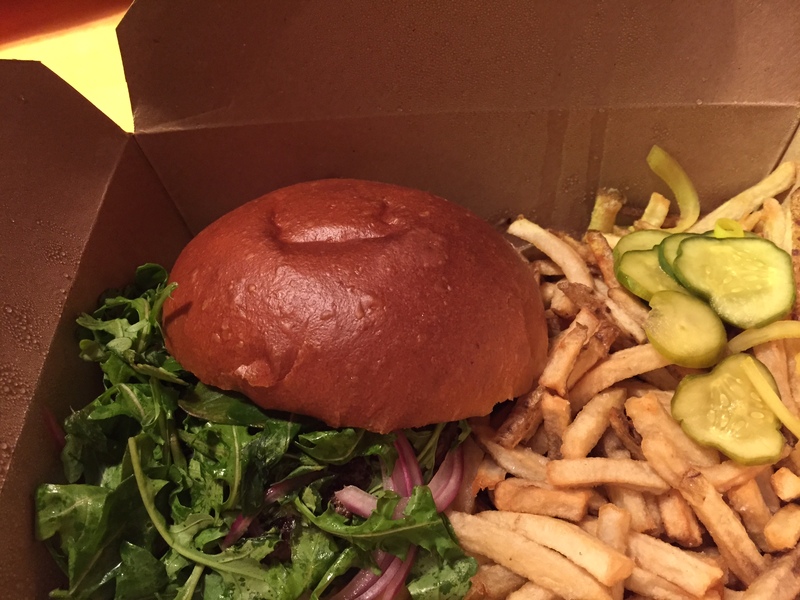 Cowgirl Creamery Red Hawk cheese, burger at Marin Sun Farms. And one amazing dinner at Saltwater – oh man! The oyster sampler there was heaven). The main danger in doing something like this is putting all this pressure on yourself to justify the time and expense. Because, actually, going away to write is hard! If you don’t have your routine and your discipline and your idea already daydreamed I think you could easily go away and not accomplish that much. That might be ok, given your budget and life. But in my case not being productive leads to all kind of gloom, stomping around, and self-recrimination. I will do anything to avoid unproductive-ness (or whatever it is — in bad moments I call it laziness and lack of character). So I was careful to set my expectations. I knew I wasn’t going to “finish the book” or anything crazy like that. I was in the middle but it was very, very rough. So I was simultaneously cutting chunks out and adding new things in. In terms of overall word count, I produced maybe 2,000 or 3,000 words a day, (which, by the way, is absolutely HUGE for me). But just as important, I trimmed stuff that wasn’t working or was leading me down the wrong path. Just having the mental concentration to shape the story was just as important as adding word count. So I would absolutely do it again. A place like Inverness is incredibly special, so that is more like the birthday- or Christmas-present writing retreat. Plus, you can’t go there and not hike or be outside. You will feel deprived if you stay indoors. So it’s not a good place for crazy, all-out work. But I think as I get closer to deadline I might do a more down-and-dirty getaway. Maybe something like the Embassy Suites. (There’s one in Walnut Creek. Right off the highway. Half an hour away. Not too expensive.) This will be for the I’m-ordering-a-pizza-and-never-leaving-my-room phase of writing, when the end is in sight and I’ve got so much adrenaline and I can go at it for hours at a time. Here are some photos. I hope they make you feel like you’ve gone on retreat! Here’s the view from my window at the Dancing Coyote cottages in Inverness. 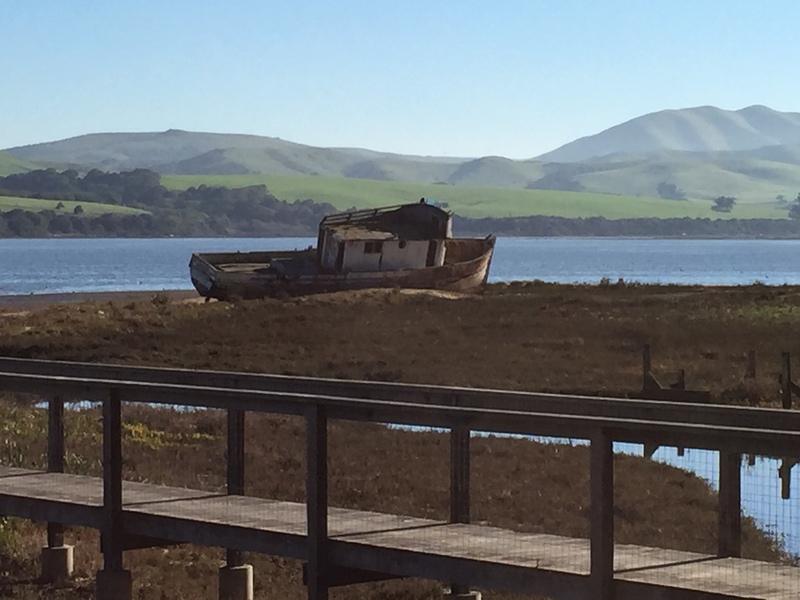 Cool abandoned boat on Tomales Bay. Looking out over Arch Rock at the end of the Bear Valley trail. Sustainable, organic, awesome Marin Sun Farms hamburger with lard-fried french fries (insane), from their restaurant on Hwy 1. Feeling like a sassy hiker at the Tomales Point overlook. 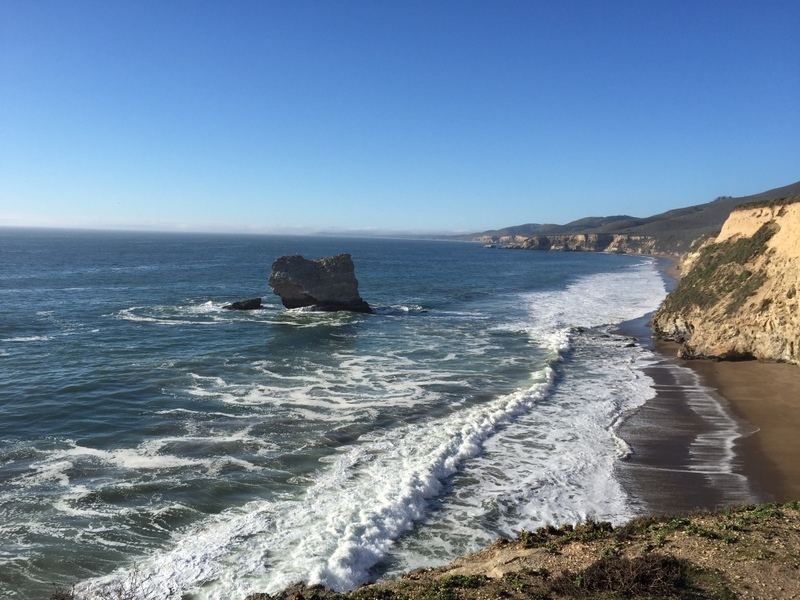 An incredible there-and-back hike to the very tip of Point Reyes. 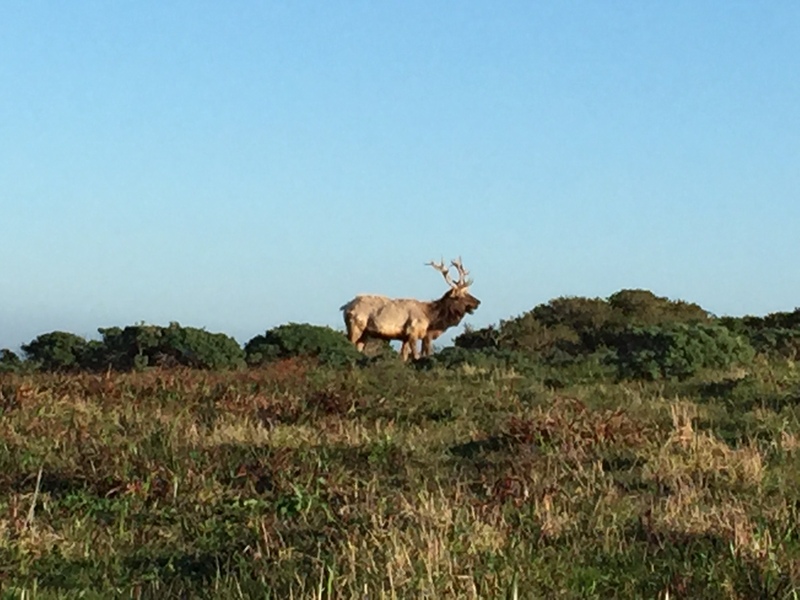 Tomales Point is full of these fellows – Tule elk with huge antlers.